“A force of nature” and “extremely bright, hard-working and a good cross-examiner,” Lucy was called to the Bar in 2001 and was made Queen’s Counsel in 2018. She has an impressive specialist practice in construction, engineering, energy and shipbuilding. Her practice includes claims for and against construction professionals in these sectors and project-related issues such as insurance, bonds and guarantees. She is always in demand for her forceful advocacy, commercial approach and “stellar” intellectual ability, which has led to instructions in a series of high profile, high value disputes. She has extensive experience in the TCC and the Commercial Court in the UK, and in international arbitration including in civil code jurisdictions. She is familiar with international parties and Tribunals. Lucy also advises on and acts in adjudications, from referral stage to enforcement. Lucy particularly enjoys disputes involving complex technical issues. Her approach is friendly, practical and commercial. Lucy won Chambers and Partners’ Construction Junior of the Year in 2013 and was nominated again in 2015. She has been ranked in the directories in construction, energy, international arbitration and professional negligence for many years. A PFI dispute in relation to a hospital in the UK. Multi-billion US$ ICC arbitration relating to the construction of a hospital complex in Qatar. £100m plus high profile Cambridgeshire Guided Busway litigation in the TCC. This case was the first dispute on the NEC2 form to come to Court. Multi-million pound claim arising out of the Pinnacle project in the City of London. Multi-million AED DIAC arbitration arising out of the construction of Dubai airport (under UAE law). Counsel for a contractor on £100m plus multi-party dispute arising out of a catastrophic fire. Numerous adjudications and enforcements representing employers, (sub)contractors and professionals including a number of reported cases on points of law, in particular the first post-Melville Dundas case and UoB v Dovehouse  dealing with the requirements for challenging a final certificate. Acting for reinsurers in cUS$300m ICC arbitration involving a DSU claim relating to a hydroelectric power plant (FIDIC-based contract). Counsel for the engineers in an LCIA arbitration relating to the foundation design of a meteorological mast (LOGIC form). Acting for the employer in multi-million pound dispute arising out of the renovations of a gas terminal (amended LOGIC form). US$200m ICC arbitration arising out of the construction of a desalination plant in Qatar. Multi-million euro TCC litigation relating to the decommissioning and dismantling of platforms in the North Sea (amended LOGIC form). Two major (US$100m and US$8m respectively) ICC arbitrations relating to the construction of the BTC oil pipeline. Multi-million US$ ICC arbitration arising out of the construction of Qatar port (under Qatari law). Multi-million dollar ICC arbitration arising out a desalination plant in Qatar (under Qatari law). Multi-billion dollar arbitration relating to the construction of the new metro in Dubai (under UAE law). Numerous road and rail cases in the UK and internationally. Several separate LMAA arbitrations arising out of the termination of various drilling rigs, each involving disputes of several hundred million US$ (amended SAJ form). Multi-billion US$ ICC arbitration relating to the construction of a hospital complex in Qatar (under Qatari law). Counsel for the engineers in an LCIA arbitration relating to the foundation design of a meteorological mast (under English law). Several separate LMAA arbitrations arising out of the termination of various drilling rigs, each involving disputes of several hundred million dollars (amended SAJ form). Dispute arising out of the sinking of a cruise ship. Multi-million dollar ICC arbitration relating to the performance of mega sea-going suction-cutter dredgers. Commercial Court litigation relating to the performance of a semi-submersible drilling rig and including issues of consequential loss (amended LOGIC form). Commercial Court litigation in a shipbuilding dispute (amended SAJ form): the reported decision is now one of the leading cases on delay and the prevention principle. Counsel for the employer in a technical shipping dispute arising out of a project for the design and construction of 30 ships. Advising on a number of PFI/PPP contracts. Acting for the Trust in a PFI dispute in relation to a hospital in the UK. Acting for a contractor in a PFI dispute in relation to a prison in the UK. Counsel for the engineers in a dispute relating to the innovative foundation design of a meteorological mast. Acting for the employer in a high-value dispute relating to the design of factory processing equipment. Counsel for the architect in the Walter Lilly v Mackay litigation, originally involving seven parties. The reported decision on the dispute between the contractor and employer includes guidance on the law relating to delay and global claims. High profile multi-million pound litigation in the Guernsey High Court arising out of the Royal Chambers and Royal Terrace development, acting for the engineers. Counsel for the employer in a technical dispute involving a professional negligence claim against engineers and conflicts of law arising out of the construction of an oil platform. Numerous fees claims acting for architects, engineers and other construction professionals. 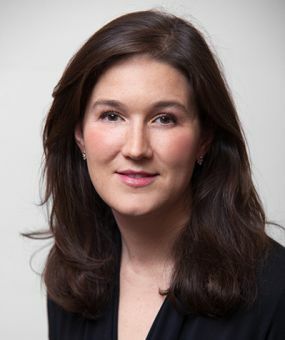 Lucy Garrett QC is “very highly thought of by clients” for her expert representation in construction disputes, showcasing her profound industry knowledge and talent as an advocate in complex proceedings. "Uncompromisingly tough and has an excellent style of drafting and oral advocacy." "She's excellent on her feet, works very hard and is an intelligent barrister." "A real fighter; her drafting is excellent, she has superb knowledge and a brilliant manner with experts." Lucy enjoys reading. Her current recommendations are The Mark and the Void by Paul Murray, anything by Sarah Moss but her latest The Tidal Zone is excellent and the next Jack Reacher as soon as it comes out.